One of the major factors driving companies to migrate to the Cloud is the minimal upfront cost of resource provisioning and an easy, pay-as-you-go operating model. These two factors, along with the disposable nature of the wide variety of available computing resources, and the ease of resizing those resources, makes Cloud an attractive alternative to large data centres. However, balancing the demands of the business in terms of innovation and performance while delivering cost optimisation can be challenging. 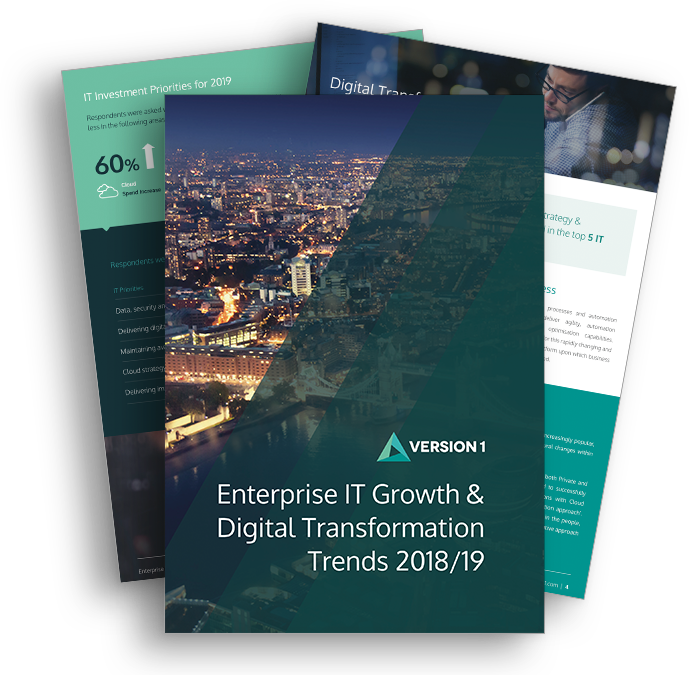 Organisations making a transition to the cloud or who have completed a transition will demand optimised costs but are unlikely to achieve this without an investment in operational excellence. Constant tuning, management and automation of Cloud assets is essential to achieve efficiency and cost optimisation. Azure Control Billing Service Optimisation can help you understand your monthly Azure bill and advise on how to best optimise you Cloud costs. Version 1 has been working in the Microsoft technology arena since 2006 and today is recognised as one of the most competent partners in the UK and Irish markets. With broad and deep expertise across the Microsoft stack, Version 1 can look beyond specific requirements to underlying customer issues and identify integrated solutions that leverage the entire technology stack. We have end-to-end Microsoft capability with demonstrated expertise across a wide number of competencies.